Starring: Taron Egerton, Mark Strong, Julianne Moore, Edward Holcroft, Hanna Alström, Channing Tatum, Colin Firth, and more. I have probably said this multiple times this year. I pretty much do it every year but this film is easily one of my most anticipated film’s of the year. 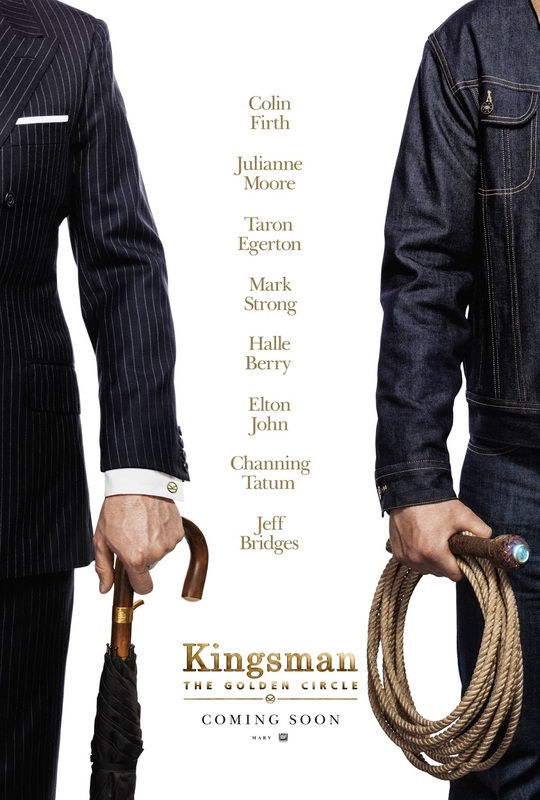 The original Kingsman from 2014 was one of the most unexpected hits of that year. From my perspective, it remains to be one of my favorite films ever. 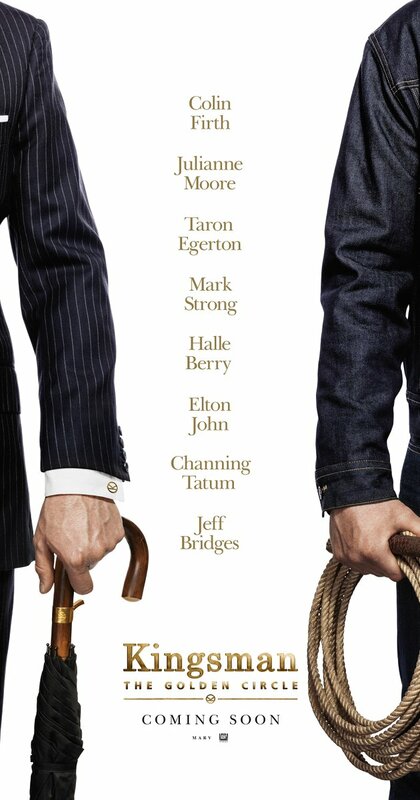 Once the sequel was announced, followed by returning cast members, followed by new cast members, my excitement and hype for ‘Kingsman: The Golden Circle’ was sky high. Well, now the time has come to put out my review for said sequel and I can only hope that it can roll well with the momentum that the first installment left off with. I just love it when a film has me grinning that big ole toothy grin because of how much I love a series. ‘Kingsman: The Golden Circle’ from the very get go had me smiling so big that very moment we see Eggsy all dapper in his Kingsman garb. This excitement bled well all the way through the film and easily I can start this review section off with saying that this sequel does well with keeping that Kingsman feel alive and rolling well with where the first left off. The actions and humor within the film are home runs just like the first film. Filled with fast-paced action scenes and foul-mouthed humor, ‘Kingsman: The Golden Circle’ is an entertaining bit for the audiences wanting some high octane fun. Each scene bleeds that classic Kingsman style that any fan of the first should fall right in line with loving it. However, being as big of a fan of the first one, I did have my recognizable critiques for the sequel. For one, the length of the film is felt at times. Not saying that this film gets boring at all but there are moments where it feels obvious that it becomes a bit drawn out in some scenes. Let us face it though, director Matthew Vaughn went on record that the uncut footage is four hours long. FOUR HOURS. That is a version I would like to see but with that being said, obviously with so much material it is easy to find scenes where it seems like it is either lacking or there is a little bit of scenes that are drawn out. One note I would like to bring up as well is that this sequel has a hell of a bar to jump over. As I previously stated, no one expected ‘Kingsman: The Secret Service’ to do as well as it did and become such a fan favorite to so many. It was fresh, it was unique, it was an all-around hit. With that being said, the audience, including myself, has a certain set of expectations when seeing this sequel and with those high expectations come the large area of possibility for the sequel to not live up to them. I do genuinely believe that this sequel does not hit the same mark as the first one did but that does not take away what I am saying in regards to it having that same vibe and same entertainment value. I enjoyed this sequel, I had fanboy type excitement when I did see it, and I thoroughly enjoyed and ranked this film high up on the entertainment scale for the year. ‘Kingsman: The Golden Circle’, to me, is what most will want when approaching the sequel to the 2014 hit that came out of nowhere. It brings that same cocky charm with each character, adds a fresh batch to the mix, brings those same type of loony villains in, and overall presents that same vibe that you loved from the first. While being a respectable sequel, it does seem a bit too familiar and on top of that, it becomes clear that this film was originally a four hour long movie as moments either feel too drawn out or some being left a bit in the air. No matter the pros and cons, overall, I feel ‘Kingsman: The Golden Circle’ is a solid piece of entertainment. It is a rightful sequel and has what I feel is an extremely strong set-up for what might be the best trilogy of recent years. Posted in 2017 Movies, Movie Review.Tagged 2017, 2017 Movies, Colin Firth, Jane Goldman, Julianne Moore, Kingsman, Kingsman The Golden Circle, Mark Strong, Matthew Vaughn, Movie Blogger, Movie Reviews, Taron Egerton.